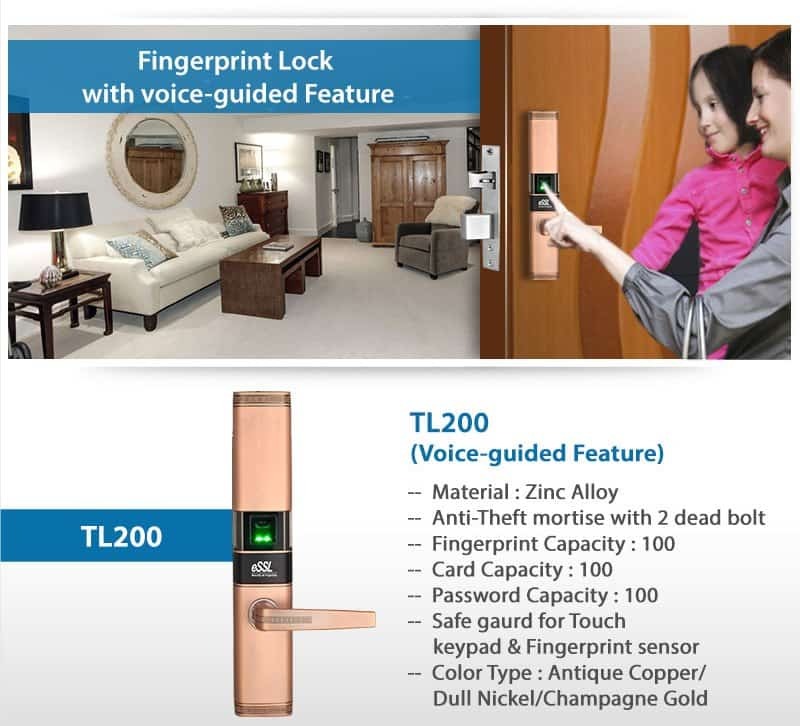 TL200 is a fingerprint lock with the voice-guided feature, which makes operation very easy and quick. It uses the mechanical Anti-theft mortise with one latch and two security deadbolts, that allows users to lock the door from both indoor and outdoor. 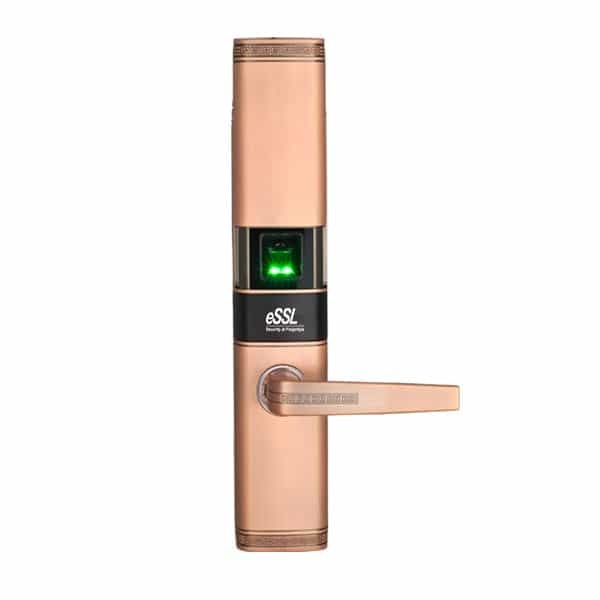 Meanwhile, TL200 has various approaches to open the door, such as with fingerprint, password, card, and key. It has one sliding metal cover to protect the fingerprint sensor and keypad. All in all, TL200 presents the advanced electromechanical technology, which provides high home security and great convenience. Email us at info@ampletrails.com or call us at 9818390836 for pricing and installation of Fingerprint Lock eSSL TL200.